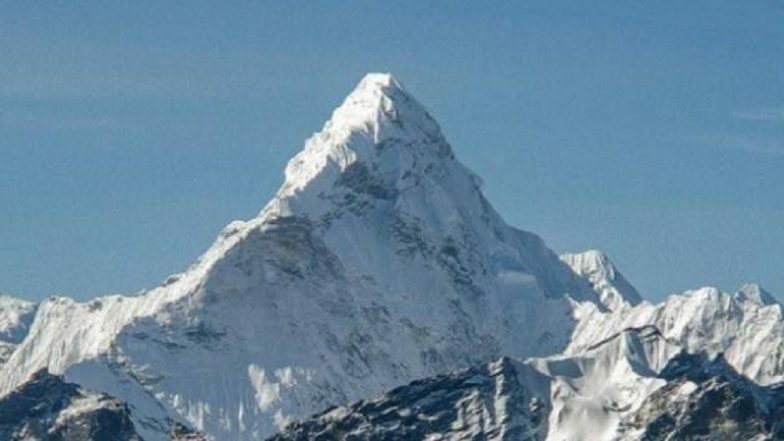 Lhasa, April 11: China has decided to build an eco-friendly toilet at a camp, 7,028 metres up the north slope of Mount Everest, during this climbing season, officials said. "The toilet, equipped with a barrel fitted with rubbish bags underneath, will make it easier to collect human waste," Pema Tinley, Deputy Secretary General of the Tibet Mountaineering Association, was quoted as saying by Xinhua news agency. Mount Everest Turns Into World's Highest Rubbish Dump!. "Our research shows when climbing above 7,500 metres, climbers produce little waste and urine, because they tend to eat less and consume energy faster at this extreme altitude," Tinley said. He also pointed out that there was no need for a toilet above 7,500 metres, for the time being. Dead Bodies Appear on Mt Everest; Climate Change Cause Melting Glaciers, Exposing Corpses of Unfortunate Climbers. The spring climbing season on the north slope of Mount Everest lasts between early April and late May. During this time, regular cleaning activities are carried out. The report said China follows the "Leave No Trace" principle and will remove all rubbish and human waste from the mountain when the season ends.